There’s a standard set of Bible stories that we grow up hearing in Sunday school. In the Old Testament, Adam and Eve; Noah; Abraham, Isaac, Jacob, and Joseph; Moses and Joshua; maybe a judge or two; David and Solomon; Elijah and Elisha; Daniel. We know that Judah went into captivity in Babylon, and we hear how Nehemiah rebuilt Jerusalem’s walls afterwards, but everything in between is kind of fuzzy. Ezra begins with the story of Cyrus, who had conquered Nebuchadnezzar and the Babylonians, announcing that any peoples conquered and displaced by the Babylonians could return to their homeland. Apparently he figured that conquered peoples might be less prone to rebellion if they were happy. Quite an enlightened despot, he was. Well, that meant that the Jews could go home. Relatively few of them did (42,360 [Ezra 2.64]). That seems surprising until you realize that most of the Jews in Babylon by that time had been born there; the last deportation had been 50 years earlier, in 586 BC. No reason to go to a city they’d never seen—which, incidentally, was in ruins and had been for 50 years. The leader of those who did return was named Zerubbabel, the grandson of the last Davidic king, Jechoniah, who had been cursed by God (Jer 22.34ff) along with his descendants. So Zerubbabel is not going to be king, even if Cyrus would hear of such a thing. He’s the governor. The returnees arrive in Jerusalem (Ezra 1.11), and the first thing they do is rebuild the altar (Ezra 3.2). It’s easy to see why they did this; their Law said that there was no forgiveness of sins without blood sacrifices (Lev 17.11), and it also said that sacrifices could be offered only at the Temple site, where God had placed his name (Dt 12.11). For the 50 years since the Temple had been destroyed, there had been no blood sacrifice, and thus, as far as they knew, no forgiveness of sin. So they build the altar first, on the site of the old Temple, and the blood flows once again. There is peace with God. Then they begin reconstruction of the Temple itself (Ezra 3.8). But they’ve gotten no further than laying the foundation when they run into political opposition from the locals (Ezra 4), and the work stops (Ezra 4.24) until the second year of Darius—a 16-year hiatus. So for 16 years the priests lead animals out into the center of the vacant lot where the Temple used to be, and on the altar, under the open sky, amid the rubble, they slaughter and sacrifice them. The proper place, all right, but hardly a fitting one for sacrificing to the God of heaven. During those 16 years the residents of Jerusalem aren’t idle. They rebuild their houses, plant their gardens, and do all the other work necessary to establishing a normal life in the long-abandoned land. They even have time to raise their standard of living by paneling their houses and decorating them far beyond simple functionality. While dust swirls, and rain falls, and animals crawl over and around the naked altar where God meets his people. After 16 years of this—God is patient—two prophets come to Jerusalem to reorient the people’s priorities. Their names are Haggai and Zechariah. We know little of either of them beyond their names and the fact that they prophesied. Haggai’s brief book consists of four sermons he preached in 520 BC, sermons that led to the reconstruction of the Temple and the refocusing of the spiritual life of Judah. The sermons are preached over a period of just less than 4 months. 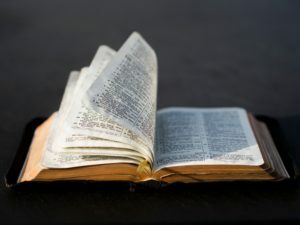 The specific date for each sermon is given—which means that Haggai is the only book of the Bible for which we know the precise date(s) of its writing. Every good sermon has a clear and concise theme, or what you might call a thesis statement, that the hearers can take away and put into action immediately. Haggai’s sermons are no exception. The next 4 posts will explicate each of these four sermons—and you’ll find that their themes, their directives, are as timely today as the day they were preached. I miss the dry humor from your Sunday School class. Whenever somebody decides to live-stream your class on FB, let me know.